Scan Copyright © Donald Milne (Roadtrip-’62) on Flickr. All rights reserved. This is the first time I have ever noticed Holiday Inn or any motel chain advertise the availability of a house physician. Can you imagine that these days when the desk clerk in most places won’t even give you change to buy a packet of two Advil out of the vending machine? 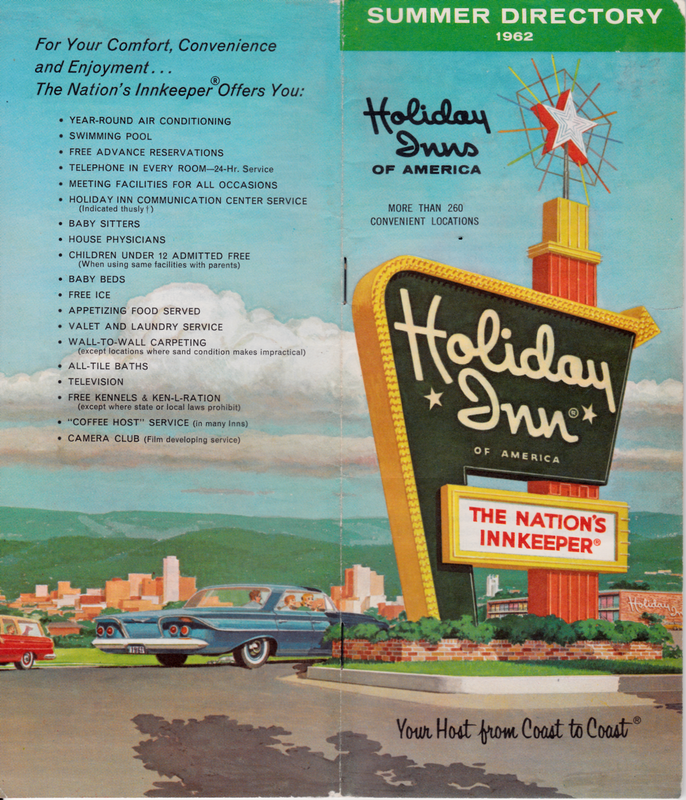 Posted in 1960s, Retro/Vintage, sign, TravelTagged Americana, brochure, guide, illustration, motel, nostalgia, starBookmark the permalink.